Responsibility - everybody wants it until they get it. 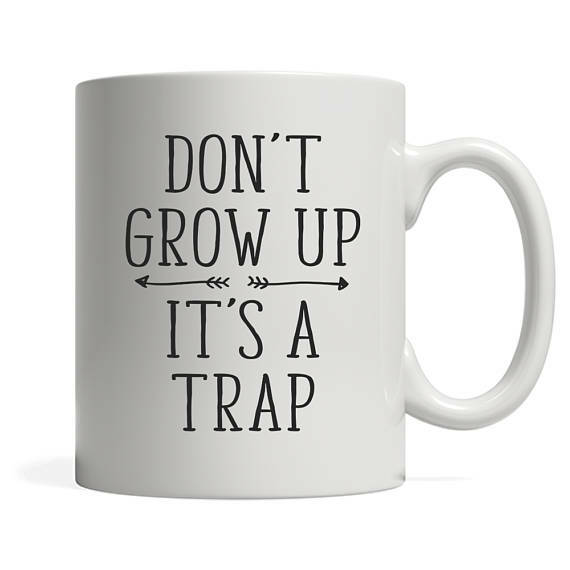 Just search Etsy for "don't grow up, it's a trap" you can see so many cute items. 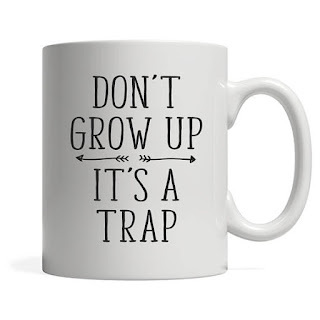 Here's my favorite (I'm slightly obsessed with coffee mugs right now). We can all think of people in our lives who refuse to take responsibility for their actions. I know you're thinking of someone right now. I am. And I bet we can think of kids who are on the same path. Some get rescued so much by their parents to learn responsibility. Some of them are parented by the people who never take responsibility so it's not modeled for them. There are a million kinds of moms - helicopter moms, lawnmower moms, tiger moms, dragon moms, blah, blah, blah. But I guess the bottom line is that we all need to teach our kids to be responsible. How do we do that? Where's the fine line of teaching them responsibility and shoving them off a cliff? Let me tell you what got me thinking about this...well, really two things. Sam got a ticket in the fall. I feel like we've handled it ok. He had to get a job to pay for everything. He had to figure out how to contact the court and choose defensive driving. He took the defensive driving class. He took everything to the Town to close it all out. I did go online and request his driving record and pay for defensive driving once he chose the one he wanted. We paid for everything up front and he paid us back. During all this there were reminders to take care of things. Oddly, the most reminders about getting everything turned into the Town after he completed everything. I sometimes wondered if we were reminding too much. The other thing involves reminders too and it irritates the snot out of me. The boys are supposed to take out the trash. I have to remind them every week. I'll remind them and they still wait. Sometimes they forget. For example, I reminded Zac about it 2 hours ago and he still hasn't gathered or taken it out. I hate it. The trash days don't change. Why can't they remember? I want to make sure they are good men when they leave my house. 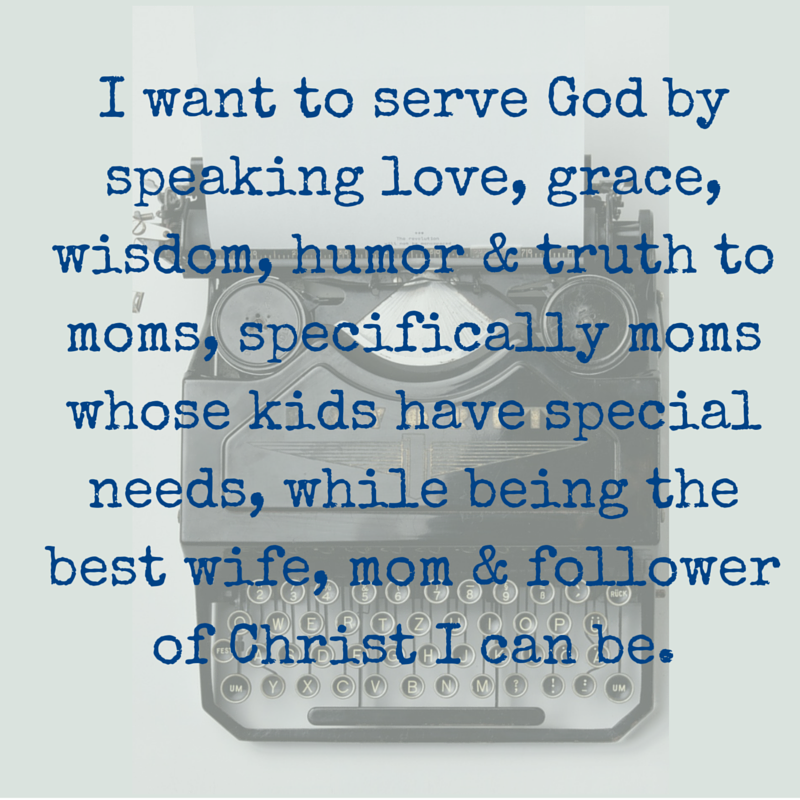 I want to balance high expectations and grace. I don't hassle them about the trash if they've been at a game late the night before trash night. But I don't take it out for them either. It's all balance I think. Reminders but consequences. High expectations partnered with grace. I'm so blessed that Ryan & I both operate in this balance. We have friends who parent in this balance. Guess we'll just keep balancing.